There are many ways to get involved and make a difference in the lives of children and families throughout Arizona. Consider making a monetary gift, a donation of goods, volunteering your time, becoming a foster/adoptive parent, joining our team, or attending one of our upcoming events. Your generosity makes an impact in your local community—find a way to give back that’s right for you! Your financial support directly impacts our ability to bring programs and services to those who need them. Ninety-two cents of every cash dollar is designated directly to programs and services. Your planned gift will establish your legacy of support for children and families for years to come. Little things can make a big difference! Donate items from our wish lists or earn money for AzCA by grocery shopping or searching the web. Learn more about the other ways to give to Arizona’s Children. A donation to Arizona’s Children Association may qualify you for the Arizona Charitable Organization Tax Credit serving low income families (formerly known as the Working Poor Tax Credit). This tax credit can reduce state taxes, up to $400 for individuals and $800 for couples. No matter what your special day is, instead of presents, be confident that your special day will change the lives of children and families by collecting donations! While it may not be physically possible, dedicate a mile or miles to the children and families we serve by walking, running, crawling or however you decide to make a difference actively! A little friendly competition can change lives too! Give $5 and challenge your friends to give $5, then ask them to repeat. This is your chance to get creative! Don't see a fundraising idea that fits you? Step outside of the box and change lives in your own style! We know that every successful program is truly enhanced by the continued participation and support of our volunteers. Through volunteering, you will have the opportunity to match your interests and skills with programs that strengthen our community. Whether as an individual or group, we’ve got an opportunity for you to join us in making a difference. Parents and caregivers will learn how to prepare their child for kindergarten, learn about kindergarten options in the area, receive information about community resources, and have their questions answered. There will be parent/child interactive activities, door prizes, take home activities, a presentation by a panel of experts, and much more! Admission is free. Arizona's Children Association as teamed up with StartLine Racing! 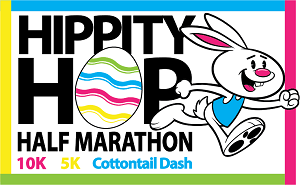 Join us for the 4th Annual Hippity Hop Half Marathon / 10K / 5K / Cottontail Dash / Virtual event. The courses will take you through the dedicated running trails of the New River Trail System, starting and ending at Rio Vista Park in Peoria. Join AzCA for a free FREE family event! For the 4th year in a row, we willl feature an interactive selection of local kid’s activities and resources for our youngest residents. Art, fitness, preschools, parent groups, music, and more! 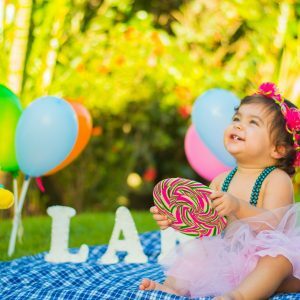 This family-friendly event will show that play truly is the BEST way children learn. Arizona’s Children Association (AzCA) is the largest foster care provider in the state! We train and support foster care families who can open their hearts and homes to vulnerable children while their biological families are on the mend. 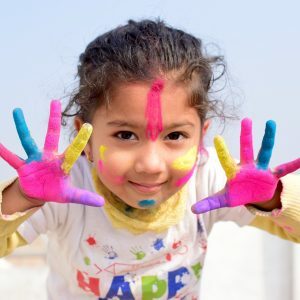 We also collaborate with adoption placing agencies to provide a variety of adoption related services for those seeking to adopt internationally, privately and from the foster care system.